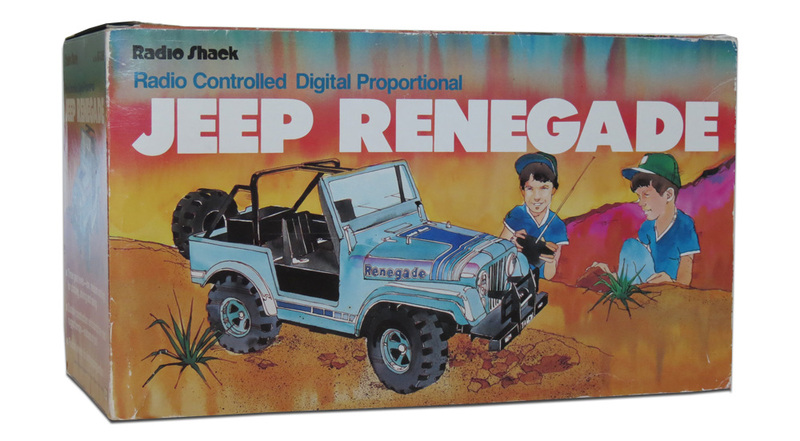 The toy that first started my interest in R/C cars… the Jeep Renegade was a lovely, scale Jeep R/C model that was built to last. Back in 1984 I was just 7 years old. And like most 7 year old boys, I was very much into toy cars. 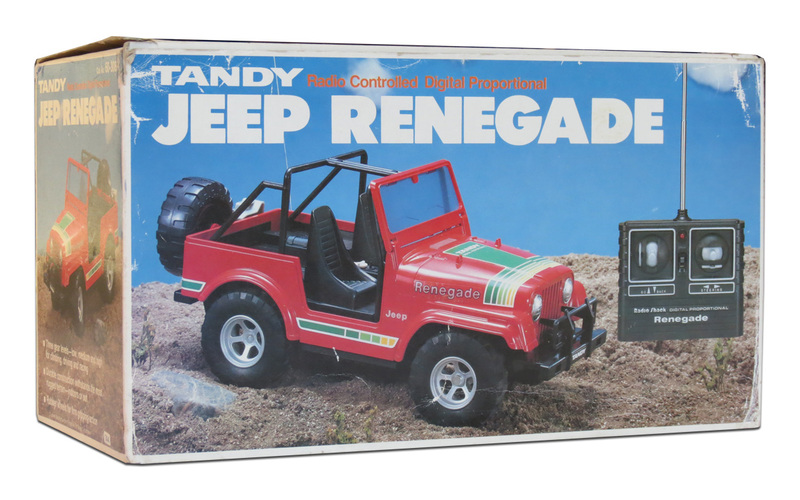 Tandy/Radio Shack Jeep Renegade (1984) (UK release). Some (not all) examples in the UK were a red Jeep, with a different box style. It must have been at some point during this year that I first became aware of the existence of Radio Controlled cars – still a fairly new concept to the general public, but becoming so popular they were common Christmas stock in not just hobby and toy stores, but also department stores, electronics hobbyist chains and even occasionally supermarkets. 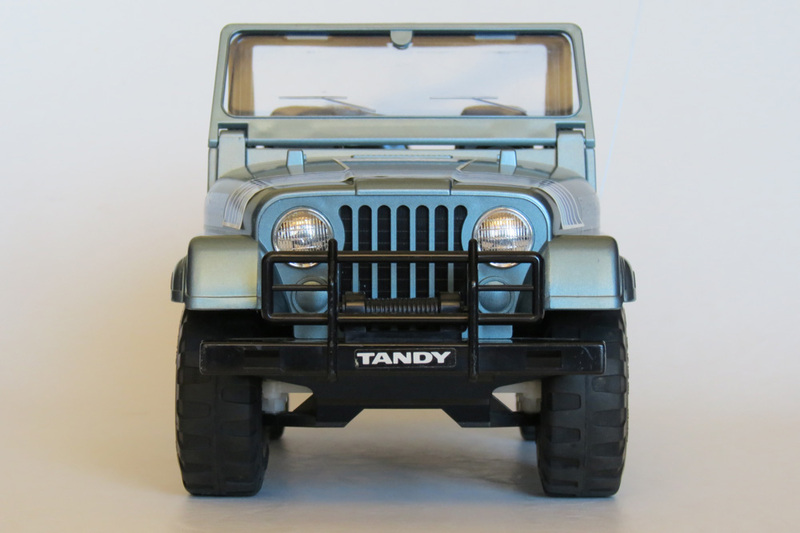 Tandy Electronics (known as Radio Shack in the USA) had a fast-growing chain of stores in Australia and they would offer around 15 or so different R/C vehicles each Christmas. Walk into any store and you would see them all near the entrance, sitting atop their boxes. You could even test drive them – perfect for a budding driver selecting their first set of wheels! The range was also highlighted in their catalogues, and I loved looking at all the models on offer and wondering which one would “win” (should they all be in some sort of imaginary race together). They may have only been toy-grade R/C cars, but back in those days the emphasis was still on realistic scale looks – and many of these cars were quite awe-inspiring. I wanted to own every single model at Tandy. The Jeep Renegade (manufactured by Taiyo) was one of their premier models in 1984, retailing for AU$69.95 (or AU$192 in 2012 dollar values, according to the RBA Inflation Calculator). Tandy actually sold it for 2 years, 1984 and 1985. 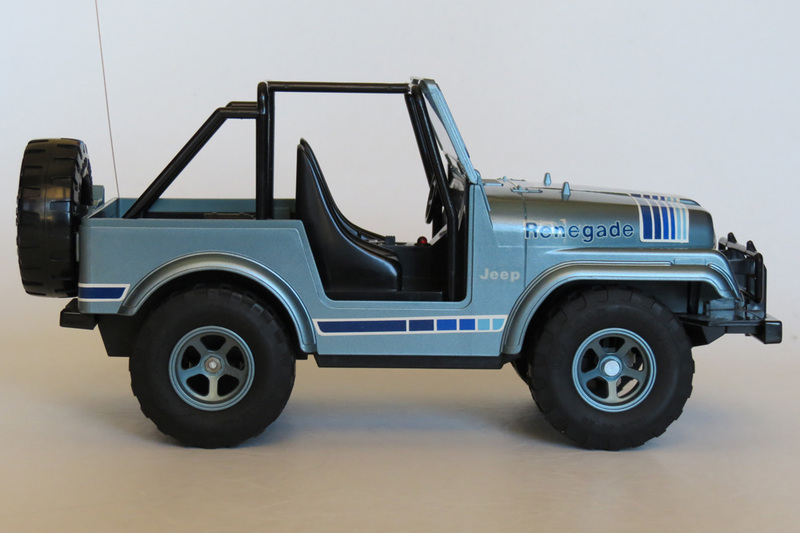 The original model by Taiyo, under their own branding, was called the “Off Road Jeep Renegade” and actually first appeared way back in 1980 – making it one of the very earliest ready-to-run, off-road R/C models with Digital Proportional functionality. It pre-dated most of the earliest efforts by other brands like Nikko or Shinsei, and was quite simply a marvel for it’s time, in an era when barely any electric off-road R/C cars (either kit-based or ready-to-run) were available. With it’s quite large size (about 34cm in length), fairly realistic appearance, basic off-road ability and Digital Proportional controls, plus a shiftable 3-speed gearbox (via a switch in the rear tray), there was little doubt this would be the ideal garden-friendly R/C car for where I lived. And so it appeared under the tree on Christmas morning 1984, addressed to me from “Santa”. I was beside myself. It lacked suspension and a differential, and the spare tyre at the back was unfortunately a hard plastic replica of the other four. But there was something charming about this toy’s realistic scale speed (slow) and it’s versatility. High speed was fast enough to entertain, while medium and low gave it just enough torque for small sand dunes. 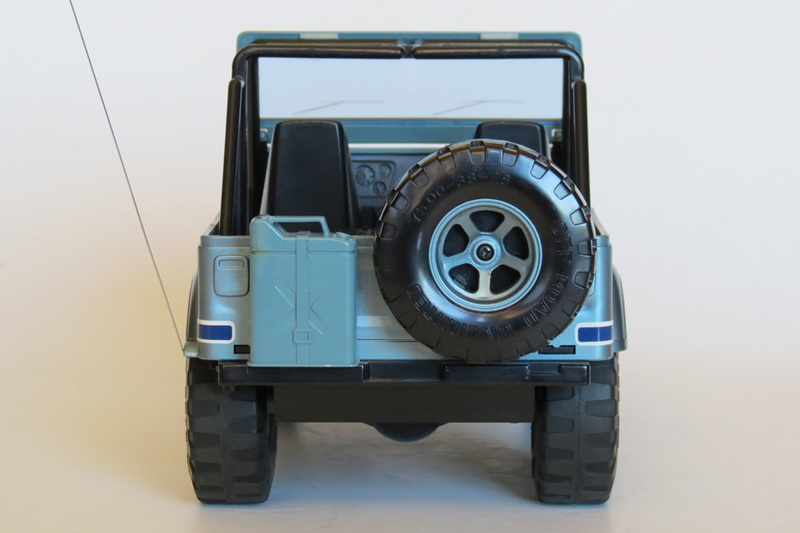 The front windscreen was also fold-able, and the roll-cage with open seating meant that it was also the perfect vehicle to load full of other toys – action figures, stuffed animals, basically anyone who needed a lift through the garden or from one end of the house to the other! Mind you, the thinner areas of black plastic were fairly brittle and you really needed to avoid hitting any objects too hard – lest the bumper or roll cage break. Parts weren’t available of course, except in the sense that it could be sent away to Tandy HQ for a 6 week repair turnaround. There’s more at the back, including a fire extinguisher. 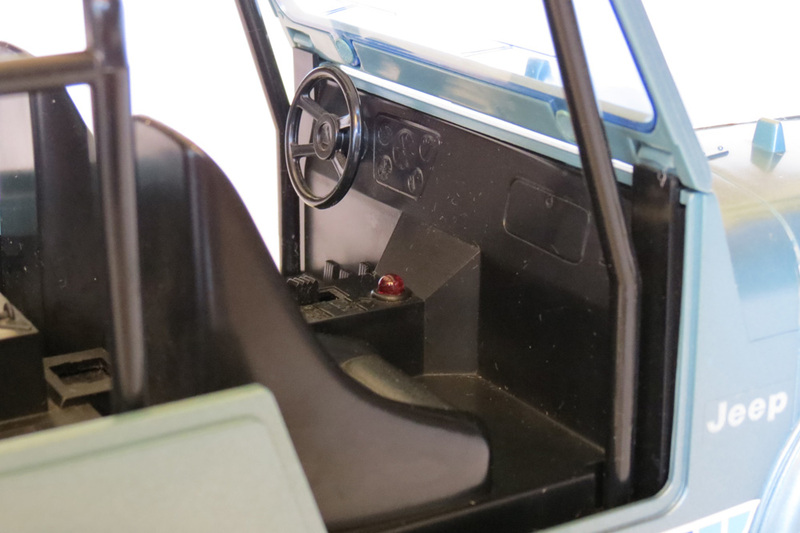 You can also see the 3 speed gear shift lever. It was pretty unusual for any R/C toy of this era to have more than 2 speed options. 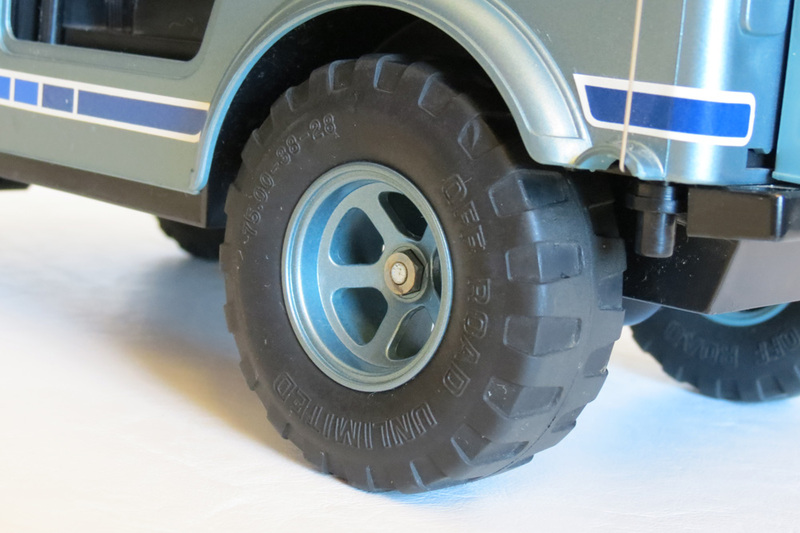 The tyres and wheels are also a highlight of this vehicle, as they managed to keep them very “scale” in both appearance and size, rather making them over-sized for the sake of performance. Another area of weakness was the gearbox, whose plastic gears were prone to wear over time – clearly the lack of a differential didn’t help. And yet to this day, I still have my original Jeep Renegade and it still works. So that’s some testament to its staying power. Countless hours were spent paddling through sand, racing around home-made dirt tracks, and making small puddle crossings during my youth, yet it held up to more play than almost any other toy I owned. 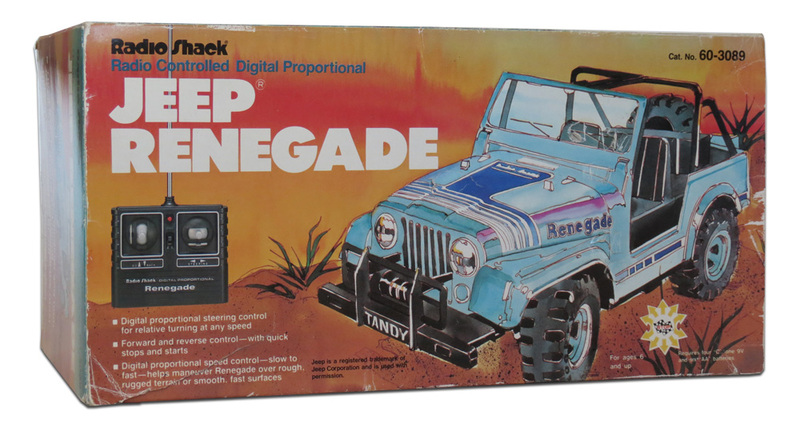 By 1985, the model was discontinued as more agile off-road buggies began to dominate the toy R/C vehicle market. 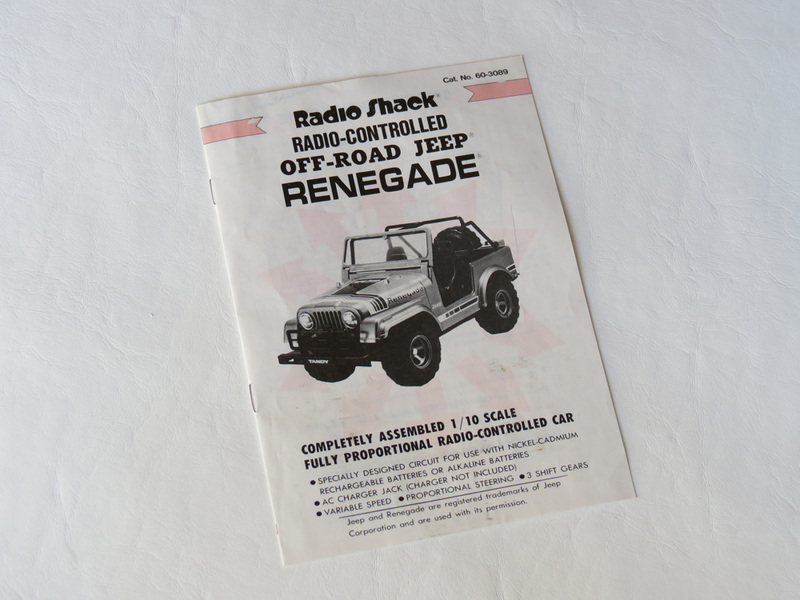 These days, you can see Jeep Renegades occasionally come up on eBay (perhaps 2 or 3 times per year). Edit: 7/7/2018: Interest from collectors has increased somewhat over the years, and while I originally wrote here that this model could be found for $50 or thereabouts (and perhaps it still can if you’re lucky), good condition examples will comfortably fetch over AU$100 now, with mint examples ever higher. 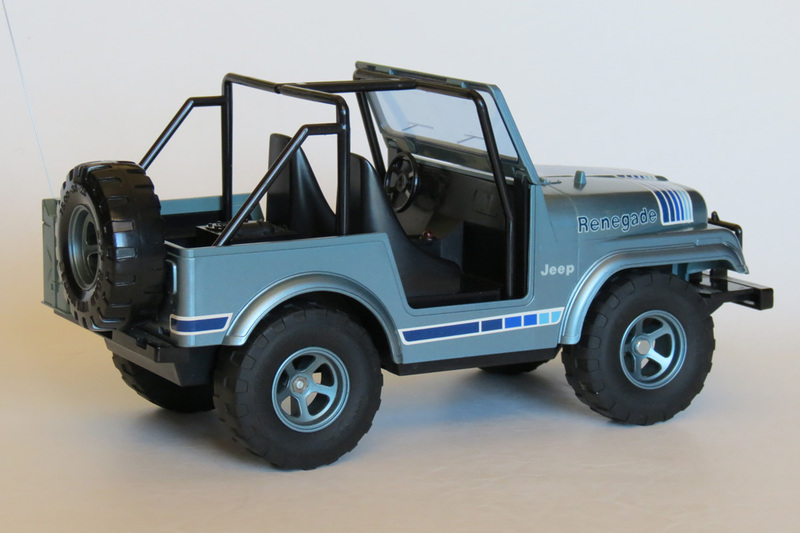 The Jeep Renegade will be of interest to other past owners, collectors of Jeep toys and memorabilia, or just fans of those realistic hard-bodied early 1980s R/C models. If you fit into any of those categories, then this gorgeous old model is a must-have. Batteries: 4 x C, 1 x 9v (Car). 6 x AA (Transmitter). Hi Mike, thanks for your comment and glad to hear you’ve found a Jeep Renegade! Happy to email you a copy of the manual, so I’ll send that through soon. However, it mainly covers basic operation and care. Most pre-assembled R/C vehicles, even back in the 1980s, required ingenuity when it came to repairs. The white cap you refer to is in between the two front seats, and is a recharging jack. If you put 4 rechargeable NiCd ‘C’ size batteries in the car, they can be slow-charged whilst in the car (note that the 9-volt in the car is not included in this – it will not be recharged, and can remain alkaline). 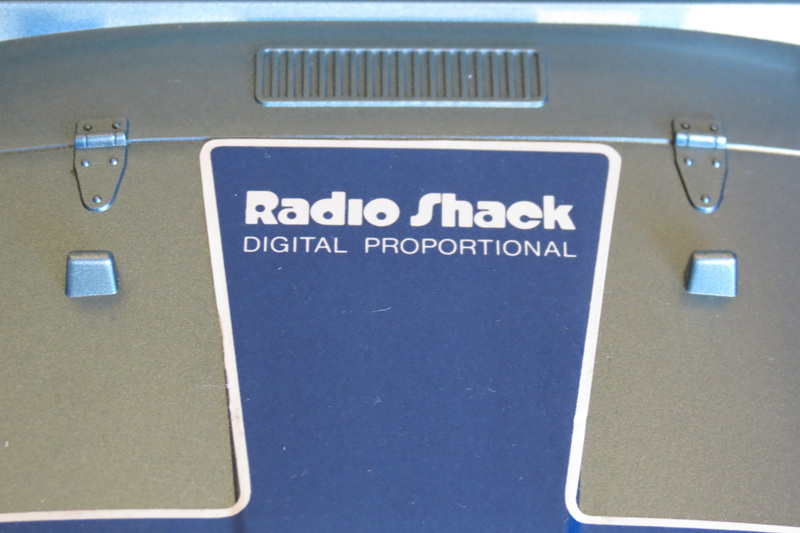 A charging unit never actually came with the car, but could be purchased separately – and I’m pretty you can still buy a general charging transformer to fit even today (try an electronics store, and speak to the staff to ensure you get one that delivers the correct voltage for 4 ‘C’ batteries). However, with normal fresh alkaline batteries, your car should operate if there’s nothing wrong with it. 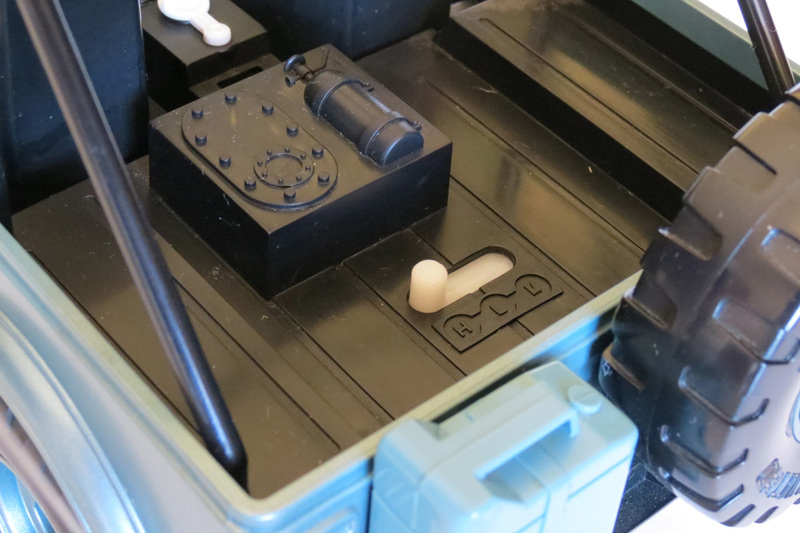 Ensure all the metal battery contact points are clean and shiny in the car and transmitter. If that doesn’t help, unscrew the body of the car (very carefully) and check for any loose wires on the circuit board inside. Your car is obviously getting power, so I wonder if the transmitter is actually at fault? If the problem is too difficult to solve, the good news is it will be easy for someone with a basic knowledge of electronic to test for faults. If you can find an electrician who doesn’t mind such a small job, there will often be ways for them to fix the basic electronics. That’s great to hear Mike. I’ve now added a PDF of the manual to this article – you should now see a link at the bottom. hi—cleaning and found this in the basement in box all in good condition–what is the value for this? Hi Louise. One in mint condition with box and instructions recently sold for $76 on US ebay. Yours might be somewhere in the $40-50 range. Getting a Tamiya Subaru Brat would have more than made up for missing out on the Jeep too, great car. Bought the single C batter holder and screws from Radio Shack about a week after I received it and performed my upgrade. I also had a wall charger to plug in between the seats and charged it every night and ran it every day for what seems an eternity. Thanks for the great post and nice memories. I did buy one of these off of Ebay last year and did the same mod on it again and still drive it from time to time lol. That’s awesome to hear Tim. Did it go faster with the upgrade, or just run longer? Thanks for the story! 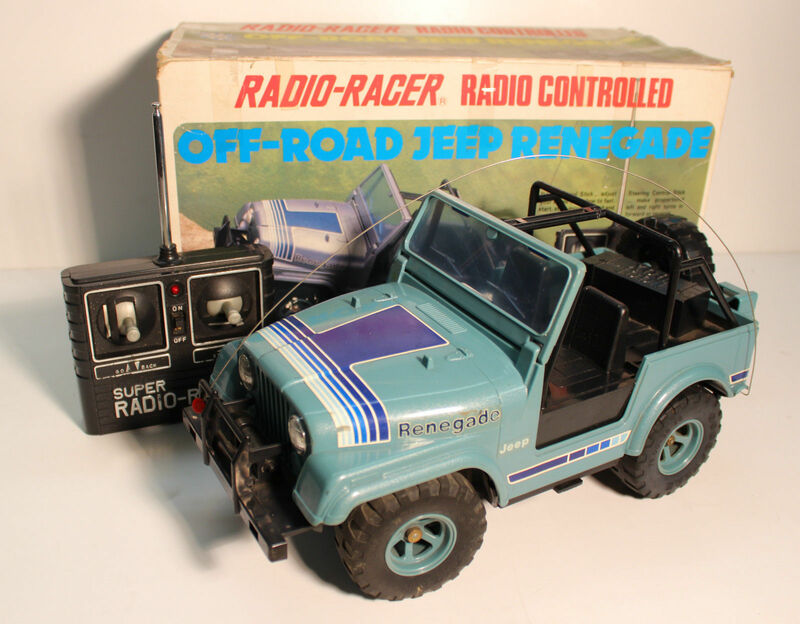 I had this r/c Jeep when I was a kid, it was an awesome vehicle. I still have a few of my old Radio Shack r/c vehicles along with my many Nikko, Kyosho, and Tamiya. The remote control signal strength at that time was unbelievable, you could certainly control the vehicle further than you could see it! so I spent 15 minutes trying to find the rc jeep that first started me in RC, I had looked a few times before and not found it. It was nice to find your article… I am also in Aus. I believe I had one of the predated ones as the one we had was white, and it had some funny name that 99% was not Tandy, from your article I realise now it was a Taiyo. I had it when I was around 8-10 I guess which would equate to 83-85 I believe my mum bought it at Myers/Grace Brothers at the time and it had been discounted. It was white in colour. Was just thinking it would be cool to pick a boxed one up in good conditon…. As for mine,,,,,,,,, unfortunately I can only remember wanting to learn how it was made,,, my usual excuse was to take things apart by telling my mother they no longer worked,,I always had the intention of putting things back together but that never ever seemed to happen!!!! !,, I believe that is what happened to mine…. Considering how old they are now,, they were a marvel of kid tuff technology, and ours lasted for years with no issues,,,,,,, and a lot of use.. I have several RC’s of the 80s shinsei, nikko, taiyo, etc. 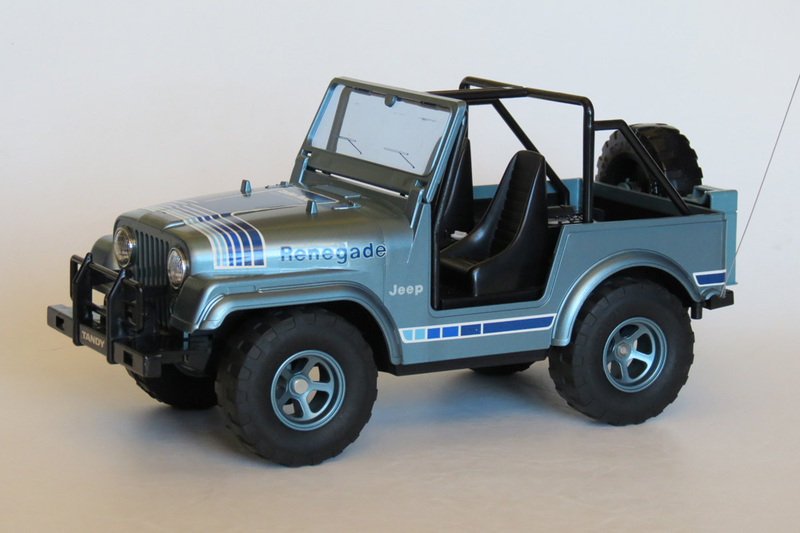 Was looking for a jeep for the renegade movie of 1987 and make a replica. Thanks for the comment, RcHobby! Delighted to find this page – I was given this fantastic toy back in 1984 (mine was the bright red UK version) and loved playing with it back in the day. Just yesterday I put some fresh batteries in it for the first time in about three decades, and now my 8 and 5 year old are charging it around the place at high speed. Built to last indeed! 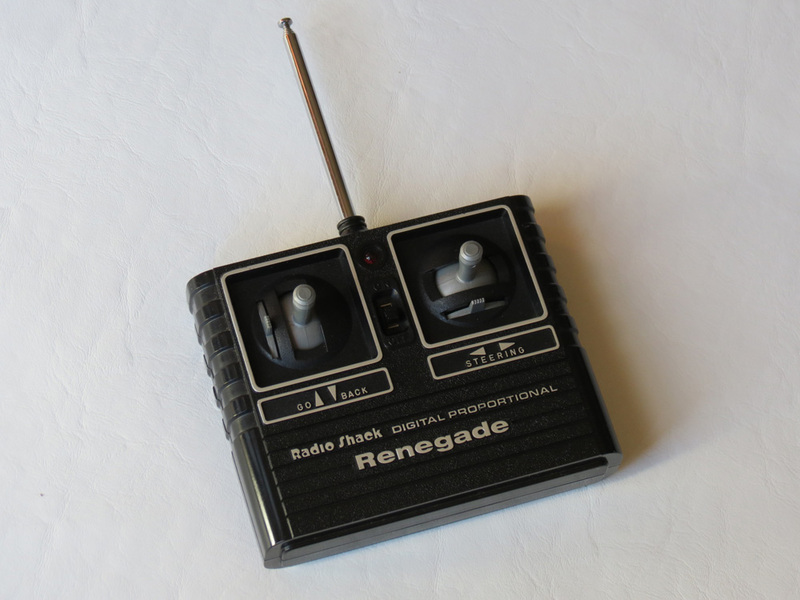 What strikes me now is the range of that controller – we tried to race it against one of my son’s contemporary RC cars, only to find that he had to chase after his to keep it going, while I could pretty much drive to the moon and back from my armchair.. I recently sold a red version of the Jeep also, which I originally got from the UK. I am pretty sure it went back to a new buyer in the UK, from memory. Anyway – that’s really nice to hear how well your Jeep is still running. It was certainly an advanced (ready-to-run) R/C model for its time. Thanks for your comment timthing.